In 2011, Bethesda Softworks reached the very zenith of RPG genre, by releasing Elder Scrolls V: Skyrim, one among the best handiwork of the company ever. The game has a vast community, and RPG fans have been craving games like Skyrim ever since. The epic universe, action, storyline, quests and the dynamic protagonist: The Dragonborn, shall always remain as indelible memories in our soul. Nevertheless, there are tons of games similar to Skyrim out there. Most of them may not be as good as Elder Scrolls 5 but could be considered among the games like Elder Scrolls. Hence, especially for you readers, we have enlisted some of the best games like Skyrim that will console your heart. Maybe a few of them don’t belong to the RPG category, however, they do feature some marvelous historical fiction and mythology. Here are some of the best games like Skyrim for PC as well as other platforms. From the ghastly lands of Velen to the beautiful isles of Skellige, venture into an epic adventure of mystery and hidden conspiracies with Geralt of Rivia, the Master Witcher, known by the name, Whitewolf. 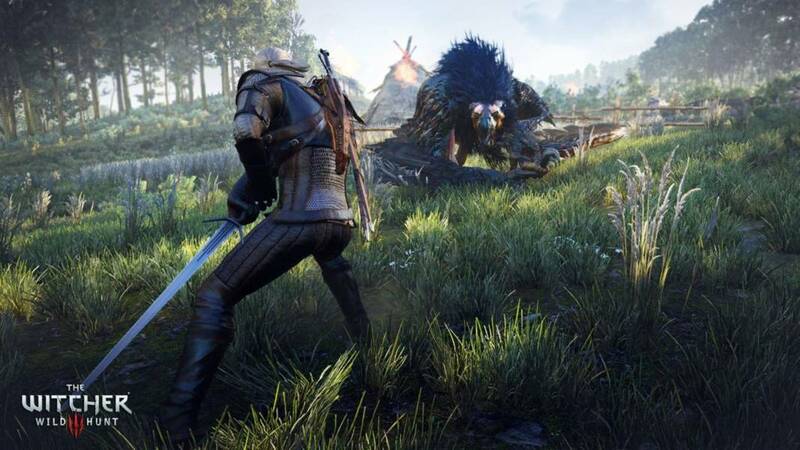 Winner of many awards from reputed publications and events, Witcher 3, to be very frank has overtaken the likes of Skyrim and is considered as one among the best RPGs like Skyrim ever created, all thanks to its vast open world and lucrative visuals. Apart from the main quests, you would definitely love to get involved with the side missions that are very engaging. If it gets tiresome for you after completing Witcher contracts and eliminating gigantic beasts, visit any pub located nearby, to relax and play some Gwent. In the elite list of games similar to Skyrim, Witcher 3, has a lot more to offer than you can even imagine. Yup, it’s an indie title, and certainly, we aren’t joking around, including it in the list of best games like Skyrim. 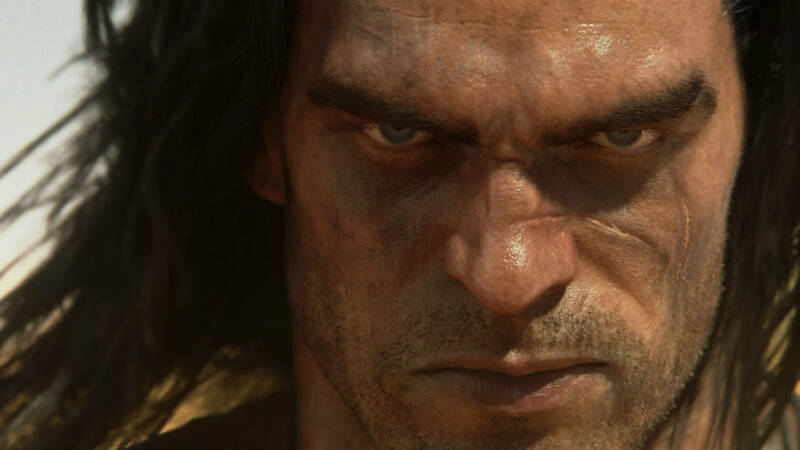 Conan Exiles developed and published by Funcom Games, is an open world survival game, that demands your instincts and analytical abilities, in a huge barren wasteland. You will be exiled and must cater to your own survival, thus challenged by blazing heat, hunger, and unpredictable enemies. Hence, players have to start everything from scratch. Harvest crops, build settlements, craft weapons and build your tribe to forge an empire in the wasteland. Alongside solo mode, the game also gives you the privilege of competing online in the multiplayer mode. Maybe not exactly an RPG but because of its well-designed eye-candy gameplay mechanics, Conan Exiles is one among the best games similar to Skyrim out there. Set in the fictional kingdom of Lothric, you will pursue an epic yet bizarre adventure, from the perspective of the ‘Savior of Mankind’. The world is on the brink of an apocalypse, and it’s your responsibility to put an end to the conflict between Light and the Dark. One among the best open-world role play games like Skyrim, Dark Souls 3, has garnered more than a million fans all thanks to its franchise that has a huge fan-base. The game’s combat mechanics is apparently a bit difficult and hence serves as one among the major reasons, for its popularity. Character customization, crafting weapons, brewing potions, etc. are evident features that are duly present in the game. Developed by From Software and published by Namco Bandai, it also features an engaging multiplayer gameplay like its predecessors. Winner of many popular game awards, Dragon Age Inquisition, notably deserves to be on the list of best games similar to Skyrim. From the makers of widely known Mass Effect series, the game has been published by Electronic Arts. Like some of the RPGs like Skyrim, the game features a companion/party system. The traditional third-person top-down view is restored as an alternative to the very same installment. 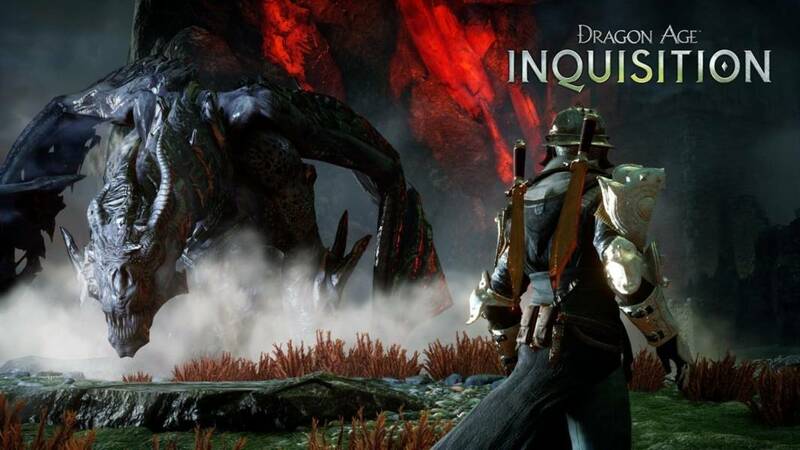 Dragon Age Inquisition, the third title, in the franchise also features a similar romance mechanics adopted in the Mass Effect games. The critically acclaimed title showcases a robust skill tree and a polished way of leveling up. Character customization, variation in classes, engaging plotline and a gigantic open-world filled with a lot of side-quests, are some of the key factors that define how good the game actually feels like. While there’s a dedicated DLC in Skyrim, where you have the option to become a Vampire, this game puts you into the footsteps of a vampire throughout its plotline. You play as Jonathan Reid, a doctor, in a Victorian London affected by the London-Spanish flu epidemic. Since you are a vampire, you need to conceal your identity and hence, survive with your thirst for blood. Therefore, the game will deliberately put you into situations, where you might have to feast on civilians. 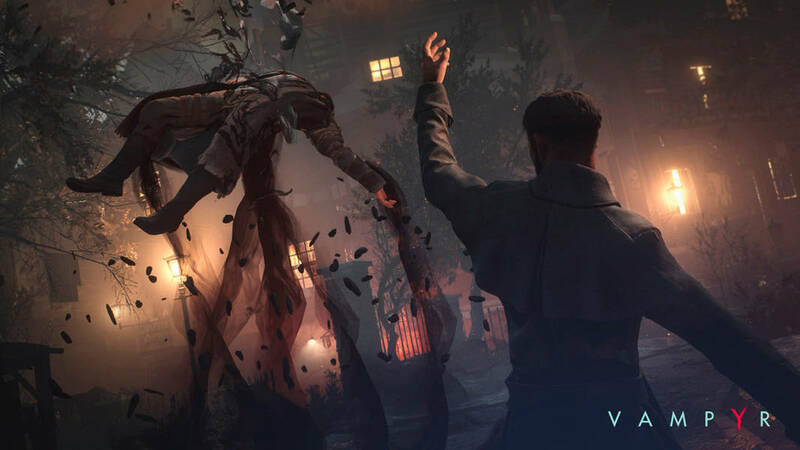 Since Vampyr is one among the role-play games similar to Skyrim, the actions that you choose will lead to unprecedented sequences. Hence whose blood will you crave for? That’s entirely up to you. Also, as a doctor, Jonathan can treat people to earn reputation, information and useful items that will further help him in several secondary as well as primary missions. However staying hidden will tend to be difficult, as there might be mutated vampires and slayers lurking in the shadows. Developed by Dontnod Entertainment and published by Focus Home Interactive, Vampyr is predicted to be released by Q4 2017. Alas, Talion and Celebrimbor are back to action with the upcoming Shadow Of War, one among the best Skyrim like games, one can ask for. Do not be confused. It’s not an RPG but rather an open-world story-driven action adventure game based on the universe of Tolkien’s epic fantasy series, Lord Of The Rings. 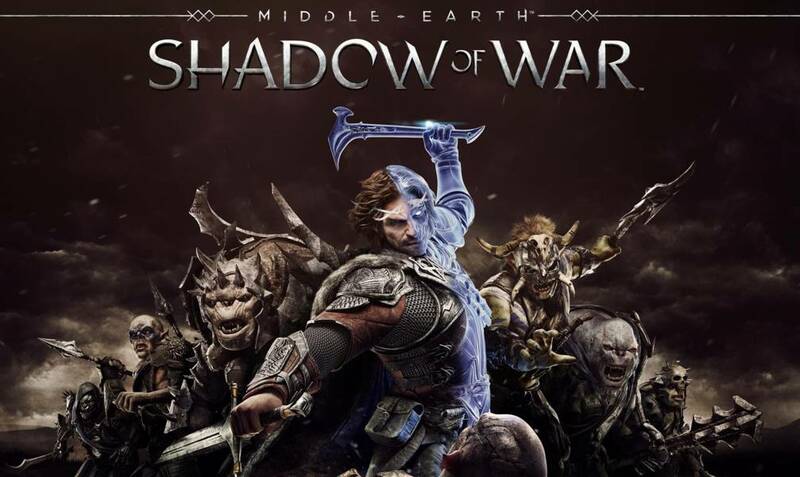 The prequel, Middle-Earth Shadow of Mordor was critically acclaimed for its fluid combat mechanics, gameplay, script writing, inspiring plotline and most noteworthy, its Nemesis system. Nemesis System enables the NPCs especially the enemies to adapt to the surroundings and dynamically attack the player based on past experiences. While you eliminate, the captain of a squad, someone else will take the dais, and face you later on. The best option would be to brand enemies, to forge your own army, while you prepare for the ultimate battle. So, how’s the sequel, Shadow Of War gonna be different? Be wary Ranger, as your own allies might betray you. Furthermore, the game’s reportedly gonna feature, a vast open-world, this time though with multiple sprawling cities. Developed by Monolith and published by WB Games, the game will be out by August 22, 2017. Tired of magic and spells aye? Just want something rather more realistic? 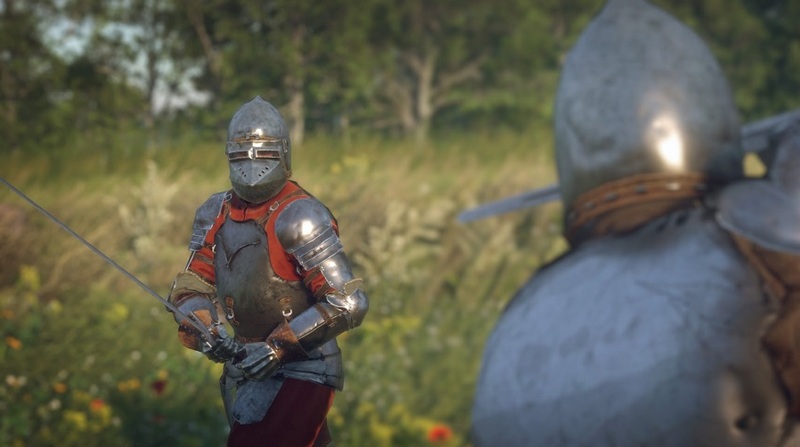 Rejoice, as Kingdom Come Deliverance, an indie title, is an RPG that doesn’t feature any magic at all! Doesn’t that sound interesting? Developed and published by Warhorse Studios, the storyline is set in the Kingdom of Bohemia. As a matter of fact, the King’s death leads to the development of internal conflict as well as a conspiracy within the kingdom itself. Due to an incapable heir, his very own half brother ceases to take the opportunity of the issue by kidnapping him. Consequently, the beautiful Kingdom of Bohemia is subjected to torture, crime, and war. You play from the first-person perspective of the son of a Blacksmith, who apparently loses his family and the next of kin due to the aftermath of the very same conflict. Set on a journey of mystery and adventure, as you seek revenge and restore Bohemia to its glory. The game is yet to get a release date. 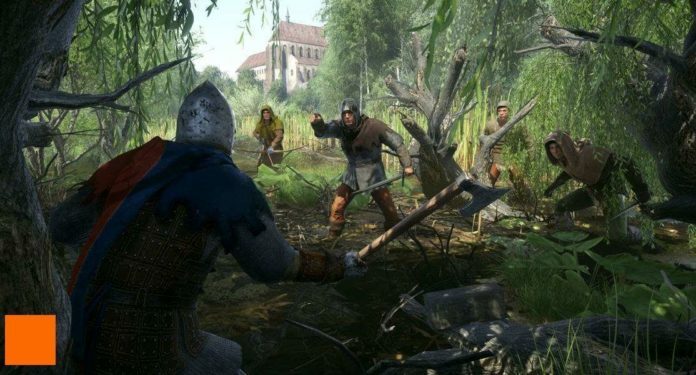 Kingdom Come: Deliverance is expected to be released sometime in 2017. An official announcement is yet to be made. Without the shadow of a doubt, the game will probably be one among the best Skyrim like games ever created. The popular open-world role-playing game by Capcom, Dragon’s Dogma, serves as a possible alternative to Witcher 3 if you don’t favor eye-candy visuals. The critically acclaimed title features one among the best combat systems ever and hence qualifies to be listed as one among the best games similar to Skyrim. You can climb enemy bosses and attack them, which is rare to be found in most of the games. The title is heavily inspired by the Dark Souls franchise. The game primarily features a similar concept like ‘Dragonborn’ in Skyrim. The chosen one here is however named as ‘Arisen’. Throughout the game, you shall follow the footsteps of Arisen and save the world by fighting beasts and dragons till you discover the hidden truth. 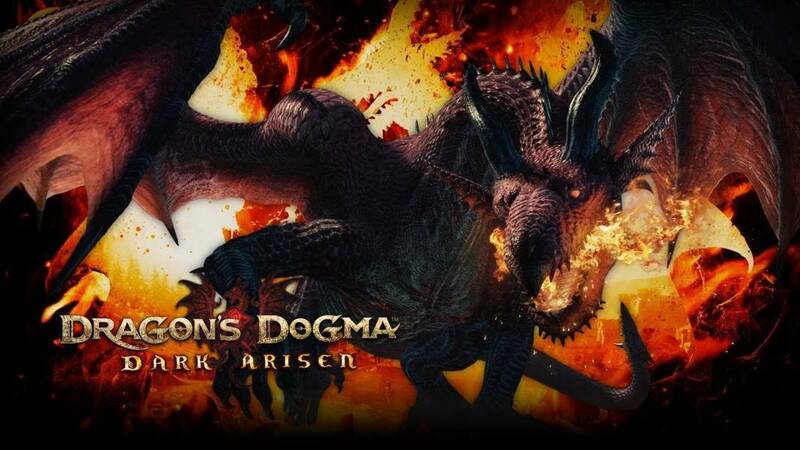 Dragon’s Dogma: Dark Arisen is rather a polished version of the game, and features some additional content. It’s one among the best games like Skyrim and Witcher 3, you can find, on the basis of an engaging questline, combat system, dynamic world but at the cost of downgraded graphics. Lords Of The Fallen is a decent RPG from 2014 and evidently a title to be placed on the list of games like Skyrim. 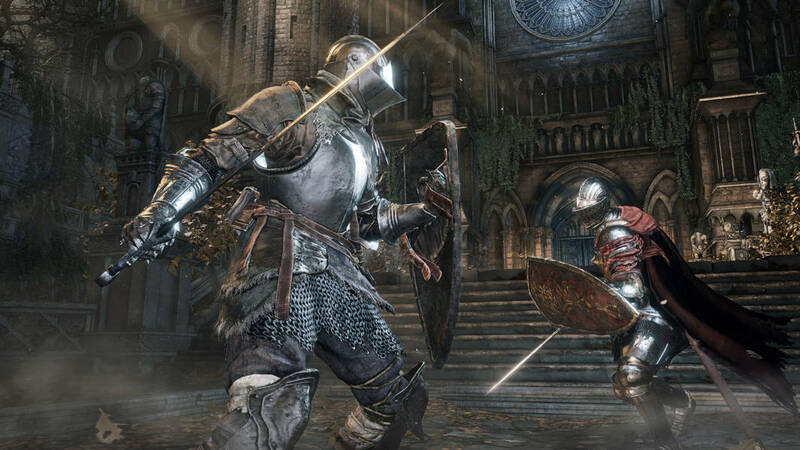 Nonetheless, the hack and slash elements, seem to be inspired by the Dark Souls franchise. The game will put you into the footsteps of Harkyn, a released convict, tasked with preventing a major mishap to be developed by the unknown demons of a defeated God named Adyr. 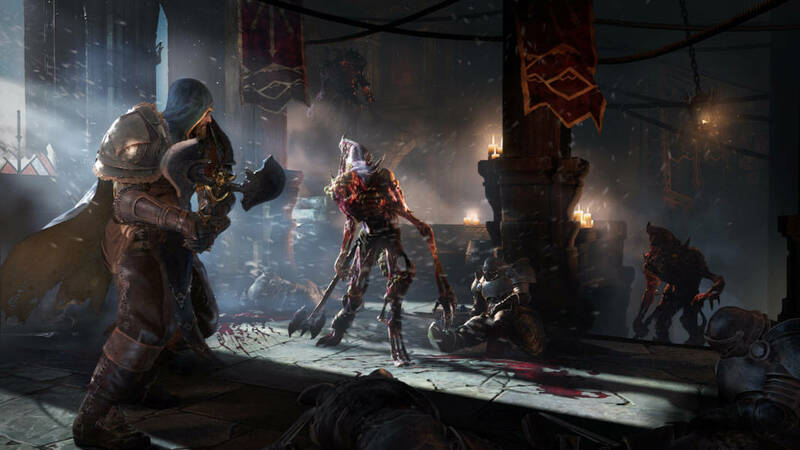 Lords Of The Fallen features a location-based checkpoint system like most of the traditional games. Also, you get to witness a ‘risk and reward system’ for upgrading the player. If you happen to go with an undesirable choice and wish to go back, then you shall bear the consequence of facing more number of enemies, before you reach that certain point. Voila! You have yet another RPG that doesn’t feature any magic or spells. Mount & Blade II: Bannerlord serves as the prequel to its predecessor, Warband, and is set 200 years before the events of the game. If you are on the lookout for RPGs like Skyrim, then this is a title worth to look at. 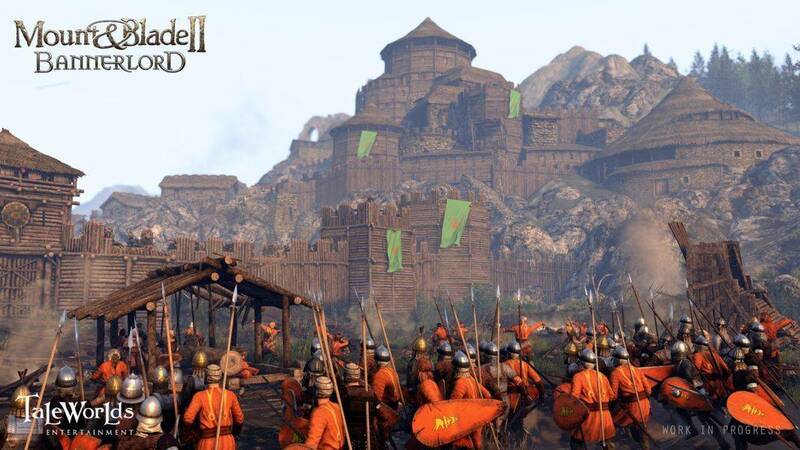 An indie title, the events of Bannerlord’s plotline occur during the fall of the Calradian Empire. This sequel to Warband features eight different factions with each exhibiting their own respective lore, classes, and characteristics. You will get to see sprawling cities with diversified landscapes. NPCs will reportedly play a huge role in determining your fate. The AI has been heavily tweaked, and you won’t be given any hint about your quests at all. You are on your own as you play this game. Developed and published by TaleWorlds Entertainment, Mount & Blade II very well deserves to be in this list of games like Skyrim. The game will release sometime in 2017. 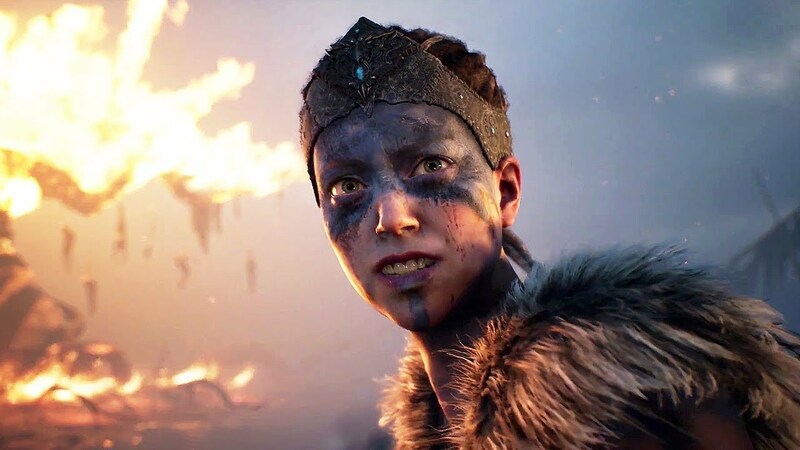 Hellblade is not an RPG but rather an action-adventure-hack-and-slash game centralized on the story of Senua, a Celtic female warrior. To what we consider this as one among the best Skyrim like games, you have to progress through a world, inculcated with your psychotic manifestations. Hence, this psychological thriller could drool your eyes when you shall be experiencing traumatic visions in the game. Developed and published by Ninja Theory, Hellblade will supposedly feature a strong plotline. We pass this judgment because the company emphasizes a lot on building strong characters and connecting them to the story, in most of its titles. ELEX is an upcoming medieval sci-fi RPG, published by Piranha Bytes and developed by Nordic Games. It could be one of the best skyrim like games, who knows? The events of the game are based on a planet named Megalan. As a matter of fact, the planet gets affected by a giant meteorite strike right at its center. Later, it’s discovered to have brought a mysterious yet powerful and rare element with it. People hence, name it as ELEX. Subsequently, it turns out to be of great use to power machines, reanimate the dead and procure artifacts. Hence, this develops a thirst amongst the mankind for possessing the very rare element ELEX. Soon, it leads to an all-out war, as mankind gets divided into various factions. 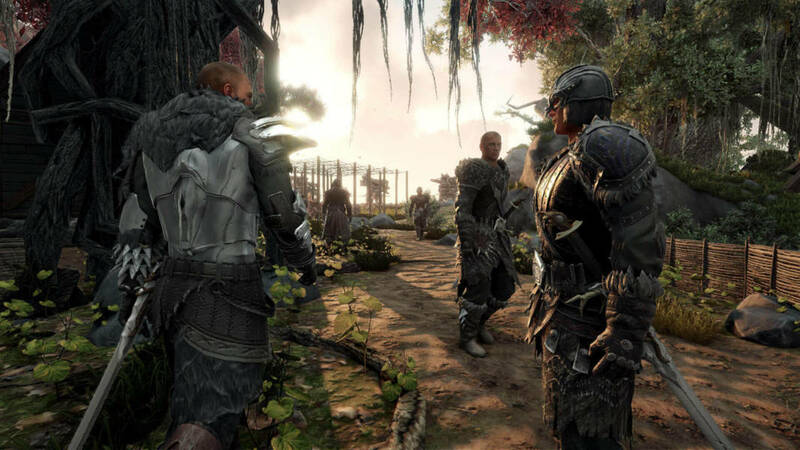 Each faction has distinct motives about possessing ELEX. Hence, you play as the protagonist belonging to a faction of your choice. Hence, in the end, it’s entirely up to you to decide the fate of mankind. Amp yourselves up to play one among the best Skyrim like games that’s yet to be released. As now we are done with the best cross-platform games similar to Skyrim, now it’s time for us to elucidate the list of games like Skyrim for PS4 exclusively. Exclusive PS4 titles, most of the times turn out to be brilliantly made, and the Skyrim like games that we have included in the list won’t fail to amaze you as well. The protagonist of this RPG title portrays a close resemblance to “Geralt of Rivia” (Protagonist of Witcher series). Hence, he is widely known as “Jeraltu: The Samurai Witcher”. 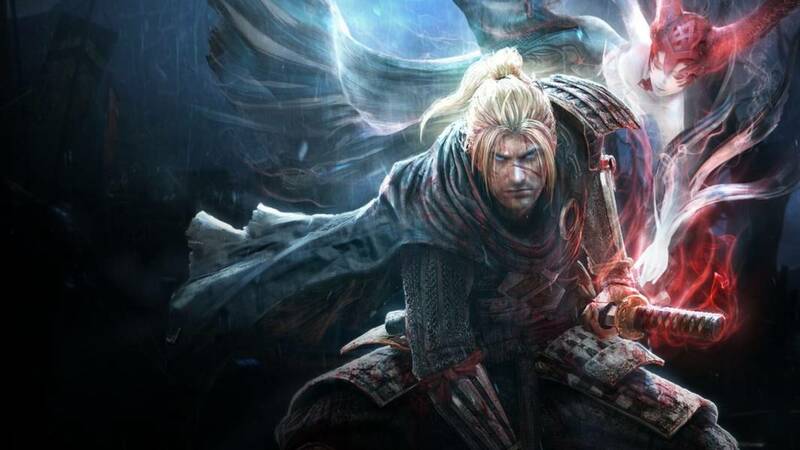 Developed by Team Ninja and published by Koei Temco in collaboration with Sony Interactive Entertainment, Nioh is a medieval action RPG. The game is set in Japan during the early 1600s, a period of conflict between the warring clans. You will play from the perspective of William Adams, an English navigator who eventually gets converted to a “Western Samurai”. The gameplay elements have been heavily inspired by the Ninja Gaiden, Onimusha, and Dark Souls series respectively. Indubitably, the universally acclaimed title is one among the best games like Skyrim for PS4. It was notably released on February 7, 2017. WiLD is an upcoming open-world survival adventure, which we think well deserves to be in the list of Skyrim like games. It will take you back to the neolithic era (6000-500 BC). Most noteworthy, you shall be playing as a Shaman, in a third-person perspective. It mainly borrows the concept of Far Cry Primal. However, the game lives up to its own expectations, you would be able to tame beasts and alongside control them, i.e. the POV transfers to those creatures when you possess them. Notably, each and every animal has its distinct set of abilities. The game gives you the privilege to upgrade and customize those very abilities to help you in stealthily invading enemy camps and frequent combat situations. Developed by Wild Sheep Studio and published by Sony Interactive Entertainment, WiLD is definitely a game to look out for if you are much into the pre-historic era. Alas, this is the tagline of the survival horror RPG title which happens to be one among the best games like Skyrim. 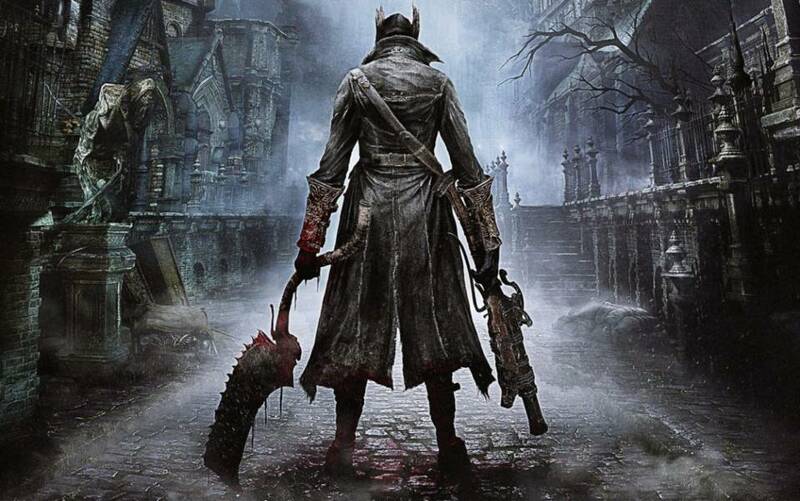 The sheer work of the Dark Souls developer, Bloodborne takes you into the ghastly city of Yarhnam hit by a plague. You play from the third-person perspective of a Hunter with the motive to search for the ‘Paleblood’ with reasons unknown. The protagonist unravels various mysteries and facts as he/she progresses in the game. Developed by FromSoftware, and published by Sony Computer Entertainment, if you happen to be a fan of horror games, this is a game to look out for. 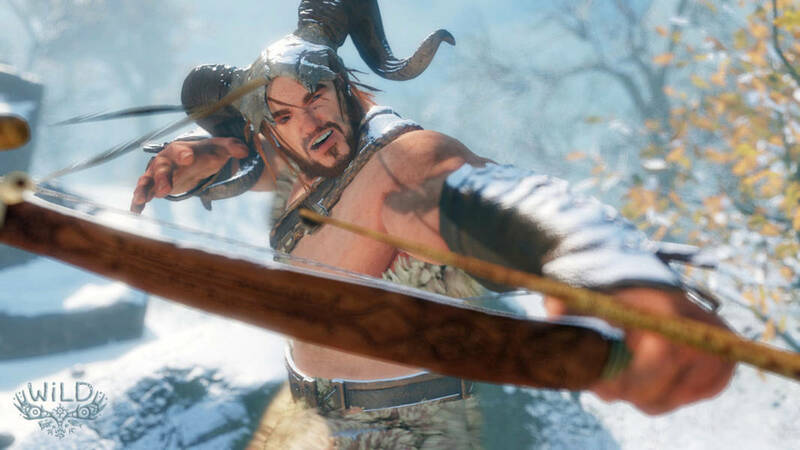 It’s inevitable that RPGs like Skyrim would be hovering in the very brains of crazy fans. The question is when you are on the go, and bored, what shall you do? Dear friends, for your amazement, you can play games like Skyrim on your Android device too! Hence, here are some of the best Skyrim like games for Android we could find. 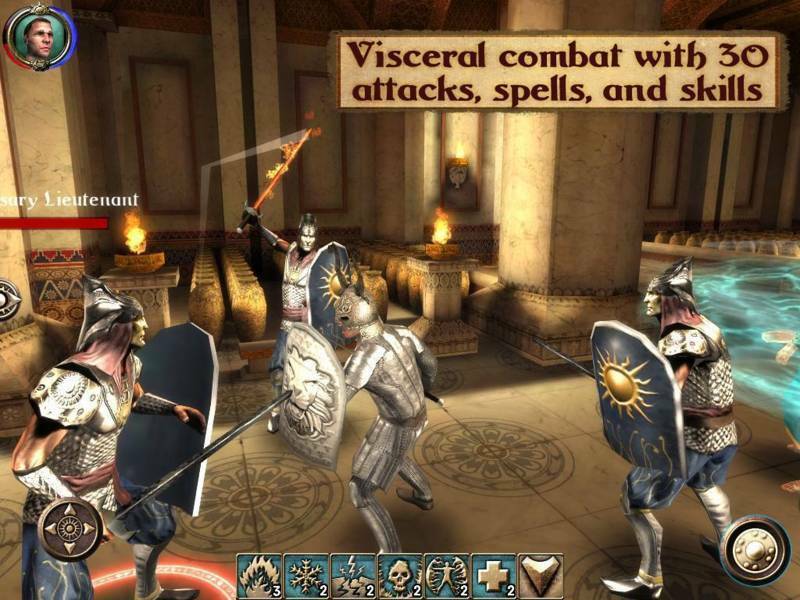 It’s considered as one among the very few games like Skyrim for Android that feature a full-fledged RPG mechanic in a 3D environment. 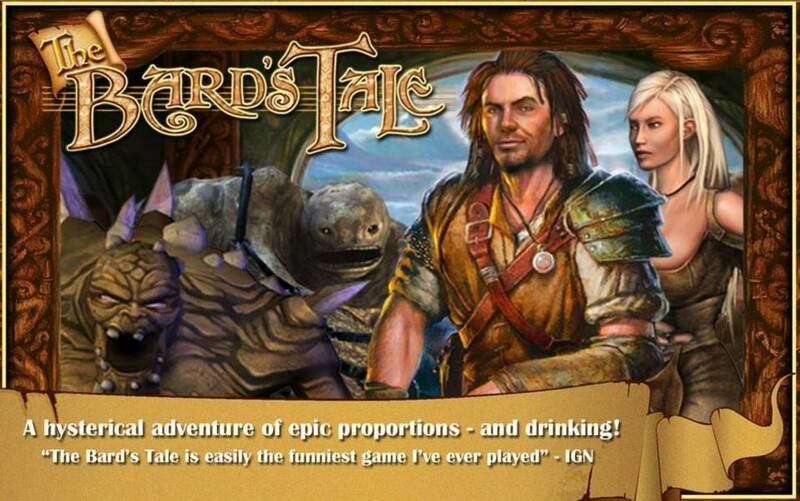 Developed by inXile entertainment, The Bard’s Tale takes you to the comical story of Bard, a funny rogue scavenger on the hunt for riches. Pursue a journey of the coin of cleavage, summon allies to help you out in combat, explore a vast world glorified by beautiful cities, villages, forests and hidden locations. Some of the main characters have been voiced by reputed Hollywood actors, which is not very common to see in an Android game. Indubitably, The Bard’s Tale is one among the games like Skyrim for Android, for the experience, it delivers to its players. 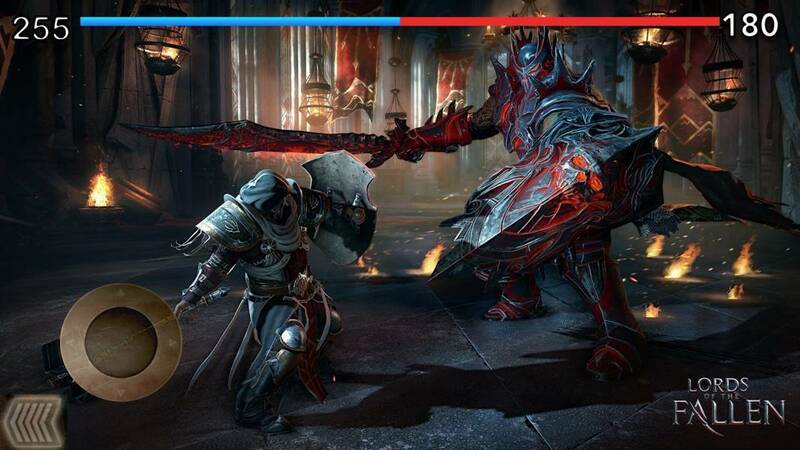 But Lords Of The Fallen is a game for PC and consoles! Is it possible that they released one especially for Android? Yes, my dear friends, you are very right. However, this version has quite some variations compared to its PC & console counterpart. The hack and slash mechanic remain the same with a few RPG-like elements. It’s somewhat story driven. You can craft weapons and armor, gain experience points and level up to fight smoothly against gigantic bosses. Lords Of The Fallen, is one among the decent games like Skyrim for Android. Offering more than 10 hours of gameplay, The Shadow Sun is a role-playing game developed by Ossian Studios. Most noteworthy, it happens to be the handiwork of former associates involved in titles like The Witcher, Baldur’s Gate and Never Winter. The game features a plethora of options to complete all the quests. You can pursue your very great adventure with a cute dog, that acts your companion. Unravel mysteries, encounter difficult choices, discover hidden treasures, and a lot more with this wonderful RPG. The title serves as a good alternative to Lords OF The Fallen and The Bard’s Tale. Without a shadow of doubt, Shadow Sun is one among the most decent skyrim like games for Android. To promote the very first Assassin’s Creed Movie, Ubisoft for the first time released an action-rpg title exclusively for Android, in 2016. 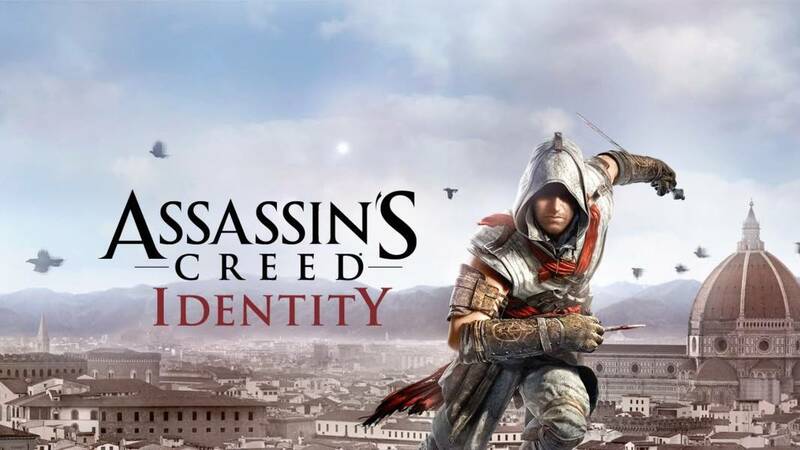 Assassin’s Creed Identity, unlike the traditional games, offers you the privilege to build and customize your own Assassin. If you are a die-hard Assassin’s Creed fan and adore games like Skyrim, then you will absolutely love this title. The game lets you explore the Italian Renaissance Era. You will be tasked with the main objective to find out what the mysterious group, The Crows, are up to. Oh yes! You get to unlock exclusive Ezio and Aguilar outfits too. There’s no reason why, as to which, this game shouldn’t be on this very list of best games like Skyrim for Android. Developed by Vivid Games, the game puts you into the footsteps of the mighty and powerful Prometheus. You venture on a journey to seek power and use it for the greater good by saving the mankind. 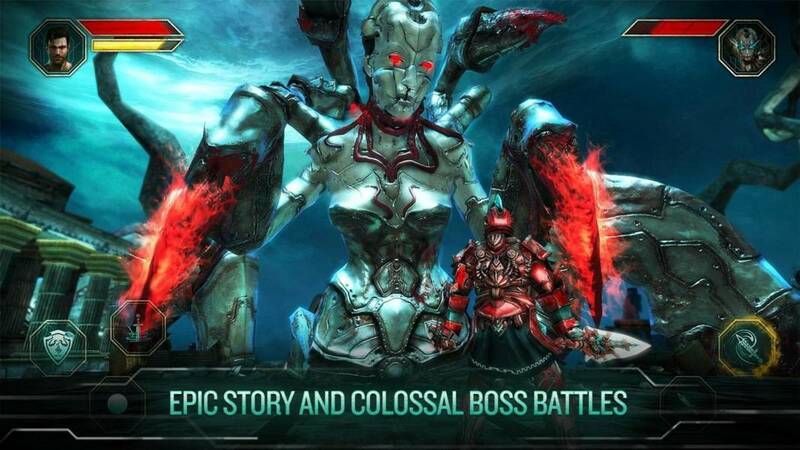 Rise of Prometheus is not an rpg and hence, rather follows a linear storyline. Apart from the single player campaign, you get to experience various other game modes like, Time Attack and Competitive Survival, as well. This is what one among the most decent games like Skyrim for Android has to offer. Are you happy with our list of Skyrim like games? Or is there anything we could add to the very special list of games like Skyrim?